Since I’m back on the road for work, you may see more of these blender posts in the interest of saving time and yet still documenting all that I have to say. And let’s be real, I have a lot to say. Leaving the airport yesterday was uneventful. To avoid the radioactive scanners and protect what’s left of my rags of freedom I opted-out, as all Americans should, and was patted and groped in the usual places by a bored TSA agent. I went ahead and bought a Starbucks coffee knowing full well the TSA could exercise their new security measure and test it at any time. Test it for what, I have no idea, and probably neither do they. In my comedic mind I see some TSA troll putting a litmus-type paper in my coffee and upon seeing it turn red, and having no idea why that is bad, proceeds in a panic to pull out a 1980’s style cellphone brick from his belt that has nothing on it but a gigantic red button with the words, “That Was Easy,” fumbling with it in horror as he slams down on the red button over and over again, the brick screaming THAT WAS EASY! THAT WAS EASY! all the while I am swarmed by SWAT that magically appear on ropes from the ceiling. I also took my Handgun Safety Certificate Test this past weekend, a California requirement (guide to take the test found here). As some of you know, I have never owned a gun but I am a Lifetime NRA member. As I’ve said before, you don’t need to own a gun to know the importance of protecting the 2nd Amendment. Since I have scored 100% on so few tests in my high school career, I am proud to say I scored one on this (it wasn’t hard). I was pleased to see that the store was packed with people asking questions and buying guns, especially in the gun-hating state of California, and that after I finished taking my test, I turned around to see five more people taking it. I actually smiled. As I was leaving, a woman at the checkout counter said to the cashier, “You’re so busy these days. What will you do when our horrible Government goes away?” They laughed. Now I can begin doing the research on the best handguns to purchase for self-defense. I’ll probably contact Thomas over at Muttering Retreat for any recommendations. 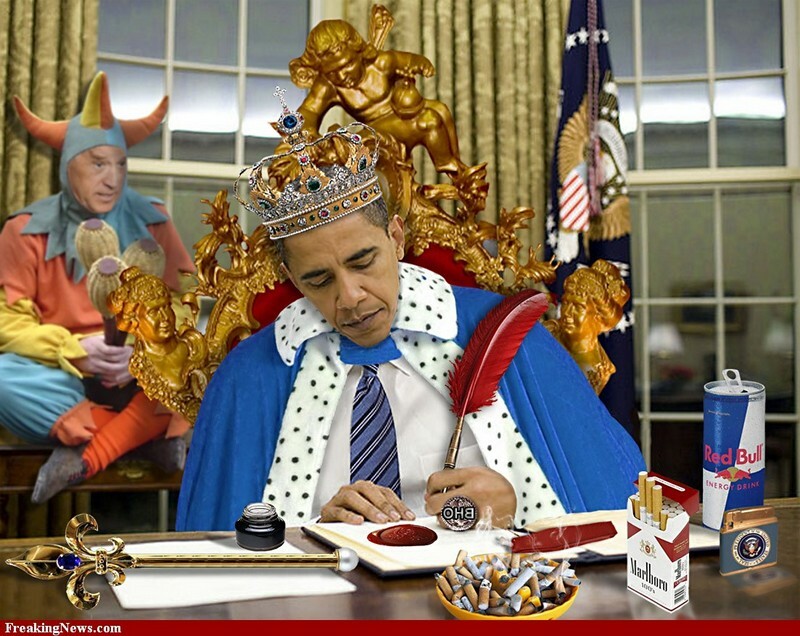 Meanwhile, as gun sales set new record highs the last two months, King Obama is threatening to use his Monarchial powers to execute some 19 executive orders so he can bypass Congress. I guess Biden went in his cave with Golem and between them all sorted out some new laws we can be loyal Subjects to regarding guns. I hope nothing requires me to kneel before a portrait of the King, but I’m sure that requirement isn’t too far down the road. Does anyone even care though? Does anyone even remember that ALL LAWS we must follow can ONLY come from Congress and that the Constitution made it that way so we are the only ones that can make laws that we have to follow? I mean, that also makes the most sense right? So why is there not absolute outrage at a President that makes laws exactly like a King. Without our opinion. Without our consent. We are just His Subjects now, not participates that decide for ourselves which laws we are willing to make ourselves follow. So where is the anger? Ah well, who am I to argue? This is what Americans wanted. A King, to make all their decisions for them and tell them what to do. Lastly, Mish did an excellent write-up of the coming debt ceiling comedy hour. MSNBC will air this new sitcom over the next month or so. It will star Congress pretending to be The People’s representatives, Obama playing the part of the “Angry President” who will not be held hostage by Republican threats. Threats will be made to cutoff checks to the elderly and the wounded if a “bi-partisan” decision that is “balanced” and “measured” is not met by both sides, “reaching across the aisle,” and The People will provide the apathetic laugh track. As JB says on her blog so often, The Sanity of a Mad Woman…SPOILER ALERT….after much hand-wringing, hemming and hawing and name calling, with both Democrats and Republicans pretending to care and pretending to be very angry, the debt ceiling will be raised, for the 77th time. Therefore, the timetable for our economic destruction will continue as planned, uninterrupted. I am pleased to report the debt-limit charade is progressing in order, right on cue, perhaps slightly ahead of schedule. Obama will chastise Congress with talk of financial Armageddon if Congress does not raise the debt ceiling. Wow. I just read through the legal section on that study guide. I will NEVER live in California again. 1) What is your primary purpose for this weapon? Use within the home? Personal concealed carry? 2) What is your current familiarity with handguns? How much time will you actually spend at the range? Your choices are much broader if you are just looking for a pistol to keep near the bed in case of an intruder. If you are looking for something to carry concealed, you need to think about size and comfort specifically. Reliability should ALWAYS be your primary criteria. Revovlers are great for people who do not have much pistol training. They are reliable and accurate. However they do have a limited supply of ammo so you better get your work done in six shots or less. Semi-autos are slimer and usually easier to carry concealed but they have more moving parts are more prone to malfunction than revolvers. If you are planning to carry concealed you should also take time to consider good gunleather (holsters). You want something simple and comfortable as well as lowprofile. Go to your nearest copshop and start asking questions. They usually have a few guys who know their stuff and will be happy to help you. Finally, stay with quality. Brands like Ruger, Remington, Colt, Smith & Wesson are time tested and battle proven. If you go with some noname cheapo model you may get what you pay for…and the middle of a gunfight is not the time to find out. If you’d like any more specifc advice or have questions, feel free to email me. Yeah. I was waiting for the test to ask me all the legal violation code numbers that would preclude ownership of a firearm. There’s so many there was no way I would have passed that. Luckily, no questions on that except for how long a felon is not permitted to own a gun. My familiarity is nil. I once shot a very large revolver at my Uncle’s house against two evil looking milk containers. Oddly, I shot better from the hip than I did using the sight but I will attribute that to luck, and my love of Clint Eastwood movies. After I took the test and paid the $25 for the Certificate I asked about training programs. They have one twice a month at a shooting range so I am going to call up and reserve a space at the range with a buddy of mine. I never liked him that much anyway. It’s a four hour training on gun handling, safety, shooting. I want to make sure I know what I am doing, at least somewhat, before I even buy it. It turns out a couple of the older guys at my work go to shooting ranges all the time; you never know who has a gun, at least in CA, until you start talking about it. I can’t believe how many suit and tie guys in my office have several guns and practice shoot all the time. I would never have thought it. Anyway, apparently there are a few good ranges nearby so I plan to be a regular there. Based on your comment I will make sure to stick to the tried and true brands, and I will make the first one a revolver since it will be the “bedside table” type making it the one that has to be the most reliable. As I get closer to selection I’ll email you. Your opinion would be most appreciated.